Most of the electronics we use on a regular basis aren’t designed to be thrown in a swimming pool and survive. Sony’s $98 NWZ-W273 Walkman Sports MP3 Player, was. 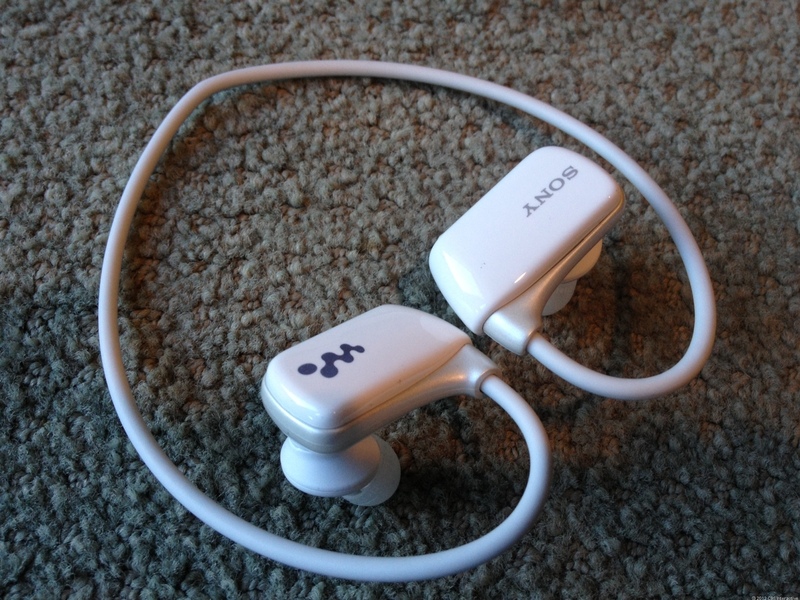 The NWZ-W273 combine a set of earbuds and a 4GB MP3 player into a pair of plastic pods connected by a rubber wire that wraps around the back of the neck. This, along with the relatively low price, made it an easy purchase for cyclists like us worried about subjecting our smartphone, MP3 player or an expensive set of headphones to the sweat and casual abuse that can destroy most gadgets during the course of a ride. Andrew uses this as his music buddy. He likes it because you don’t have to attach it to another device. Sometimes when you are carrying an iPod or external device then you’ve got a cord hanging down to your handlebar bag and could get yourself caught up in it. Works very well in the rain and has a pretty standard battery life. A challenge we have is with the connection to charge it. It seems to have reduced functionality the more it gets used. It’s nice to not have cords hanging about and worrying how you’re going to carry your music player. The offset however is having to carry a charger designed specifically for the device which in essence is an extra thing to carry on tour. Slick device while you’re using it, however the extra charger kit and poor charging connection have made is that Andrew doesn’t use it often. I’d say pass on this device and get a small iPod if you can find one.